The Brunel building has strict energy targets which have been achieved through maximising natural daylight through orientation, natural cooling, insulation and energy efficient heating and design. 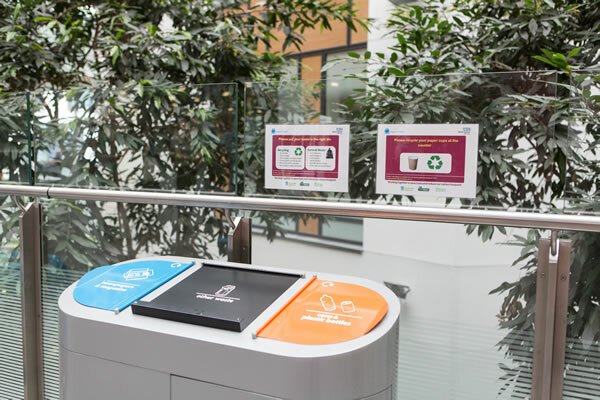 There are specifically designed waste disposal holds for each ward to enable the segregation of waste by staff at source. We also have 3 food waste digesters on site to assist with the disposal of any food waste. To reduce our surface water run- off, we have installed sustainable urban drainage systems ( SUDs) such as green roofs and therapy gardens to slow down rainwater leaving the site and causing localised flooding. We also collect rainwater from the Brunel roof and use it for irrigation. 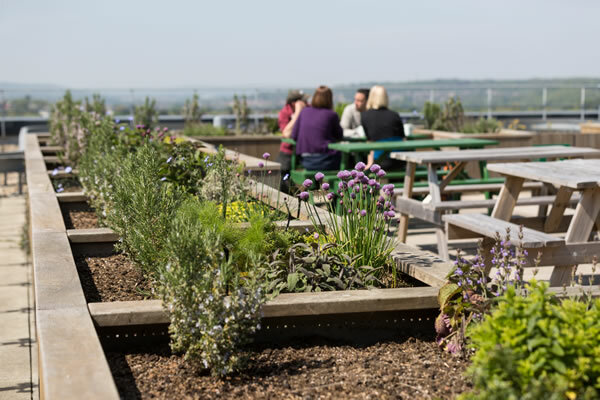 The building includes bespoke catering facilities to prepare fresh meals on site everyday which has enabled the Catering department to achieve the Soil Association’s Catering Mark standard which recognises sustainable food sourcing such as organic, locally produced ingredients. Landscaping on site includes the provision of over 700 trees and shrubs, which has resulted in recognition as an NHS Forest site. 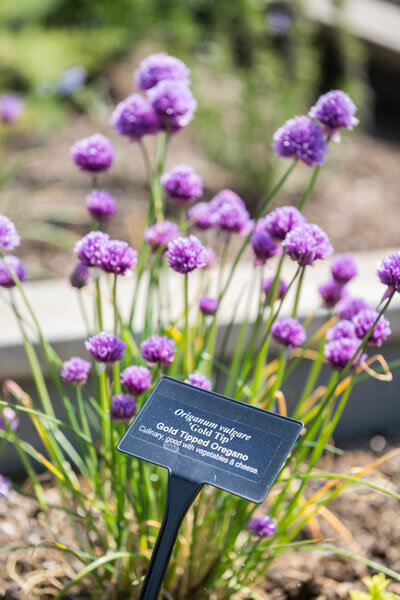 Additionally, a medicinal, culinary and sensory herb garden has been planted on the roof terrace which promotes bio-diversity and the health and wellbeing of staff through the use of organically grown herbs in staff and patient meals. 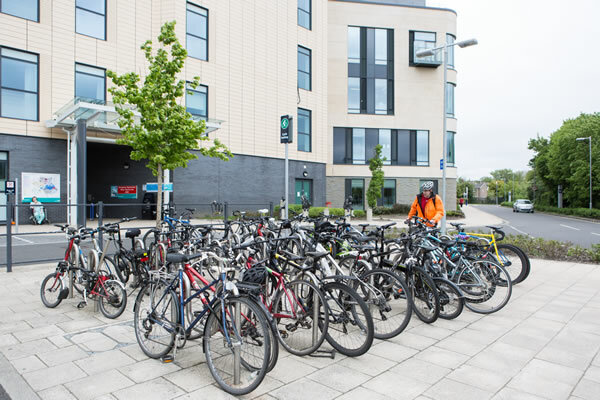 Alternative methods of reaching the Hospital other than driving in alone, is encouraged through the provision of additional bus stops outside the main entrance to the hospital, plus the provision of a bespoke cycle centre with secure bike parking for 600 staff bikes, and a car sharing scheme.